In our home, my husband is the main NASCAR fan and he watches all the races. There are a few races each year, though, that have become a larger event in our house: Bristol and Las Vegas. We lived in Bristol for several years, and it’s our absolute favorite, but since we live in Las Vegas now, we’re also always sure to watch the Vegas race. This past weekend was the Las Vegas race, so we decided to have a NASCAR party with our family. Now, usually when I do parties, I go all out. I make lots of different foods and sometimes I find myself hanging out in the kitchen way too long. I didn’t want that this time. Things have been so hectic in our home lately, I wanted our NASCAR party to be simple and easy going. I wanted to relax and enjoy the race. I wanted the food to be good, but easy to prepare. And while my family enjoys my homemade cooking, I’ve learned that not every event had to be made from scratch….and they love me just the same. 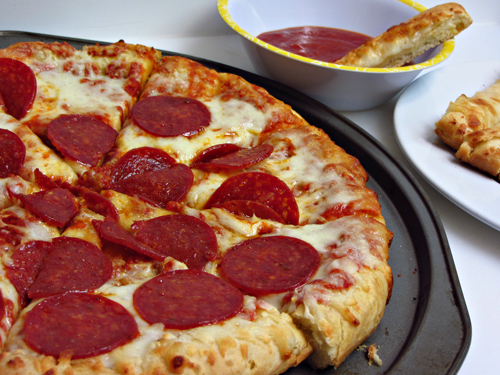 Seriously, pizza saves the day for me all the time. 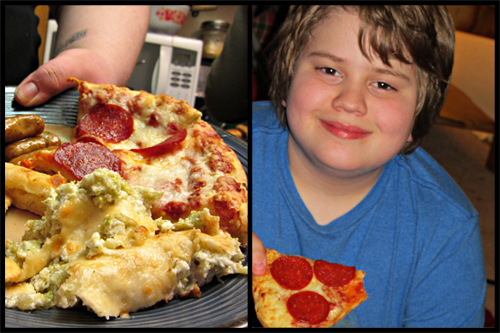 My family never gets tired of pizza, and just by having it, it’s like an instant party at our house. 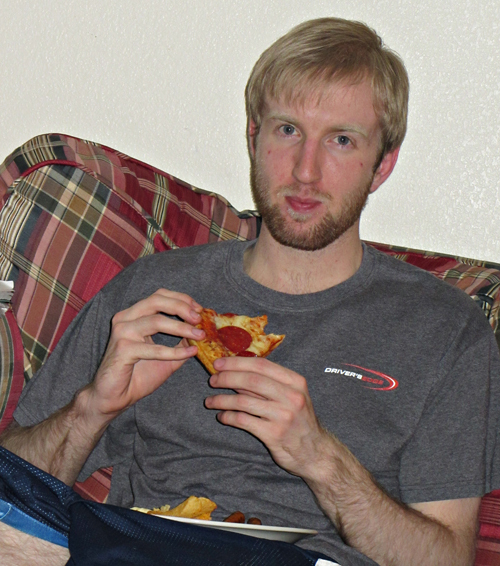 I bought the DiGiorno Party Pack Pizza and it was awesome. First of all, I think DiGiorgio Pizza is one of the very best frozen pizzas you can buy, but these Pizza Party Packs are genius! They come with two pizzas, breadsticks, and even cookies. I liked having it all together in one box and it made things so simple for me. 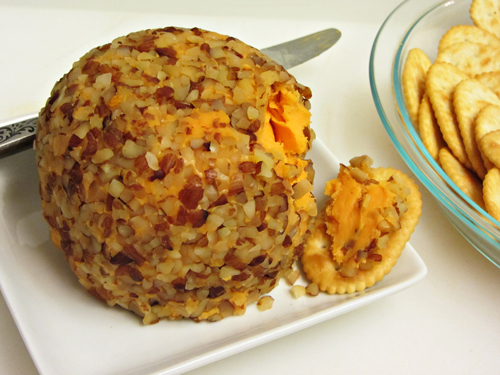 Okay, there is no way you can go wrong with a cheese ball. Yeah, you could make it homemade, but I was doing things SIMPLE. I bought one from my grocery stores deli case and bam…ready to serve. Buy a couple packages of those little mini cocktail wieners, throw in a small slow cooker, pour a bottle of barbecue sauce over them and heat them up. 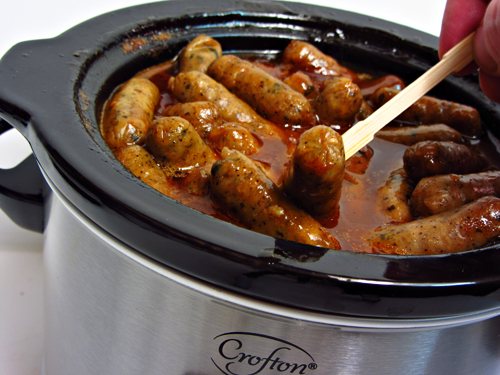 It could also be done on your stove top, but it was super easy in my min slow cooker. 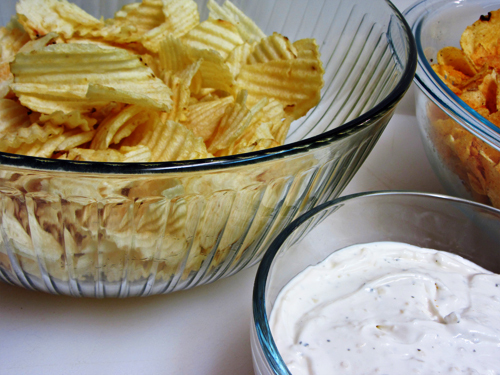 I bought two bags of chips — ripple and bbq — and threw them into big bowls. I bought a pre-made french onion dip and put that into a bowl too. EASY! Everyone was munching on these from the second they heard the crinkling of the chip bags. We had a great time watching the race and enjoying our yummy food! It was nice to have everyone home (which doesn’t happen much anymore). And it was even nicer that I enjoyed relaxing and actually spending time with them, rather than stuck in the kitchen. 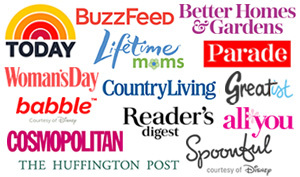 Note: This shop has been compensated as part of a social shopper insights study for Collective Bias #cbias — all opinions are 100% my own. Great post Brandie! The pictures of the food all make me hungry…and I already ate dinner. 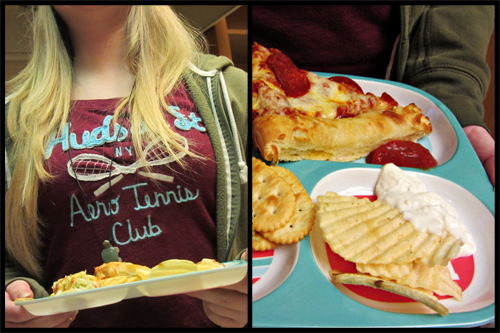 But you picked all of my favorite foods – little smokies, pizza, chips & dip…not so hip on the cheese ball thingy. Loved your Google + picture story. Thanks for taking so much time adding all of the wonderful detail, insights and thoughts. It’s very helpful for the brands that are watching, and taking notes – so the more open and honest peeps in our SoFab community are — the better for the brands to help them increase sales and adoption. Anyway, thanks again! I love that you used the little divided plates! My kids use those all the time…LOL And that hot broccoli dip looks yummers! Yep, I’m thinking the Broccoli dip had me too…and the BBQ Cocktail Wieners. Yum. 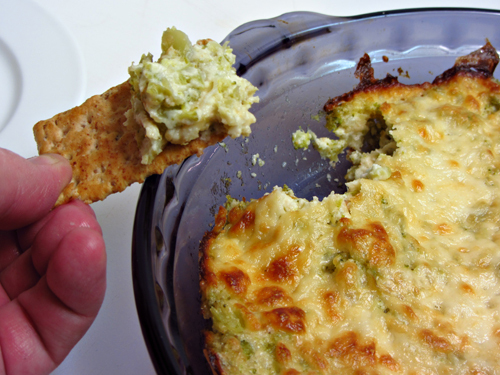 Ooh, the broccoli dip looks so yummy, definitely going to have to try making that this weekend. I also had to laugh at your trip to the Zombie Apocalypse store, how funny. But I would totally want to stock up on stuff there in case there was one! Hehe. Thanks so much for coming by my blog and checking out our mini room makeover. Hope you’re having a great day!